Psssst....in case you haven't heard the news yet, NIP co-founder Clay Aiken is going back to Broadway! 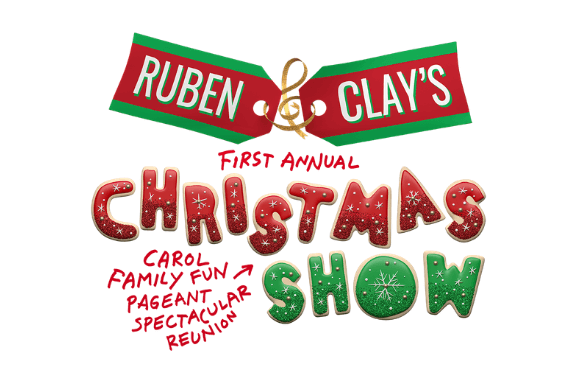 He and fellow American Idol-er Ruben Studdard are teaming up for an all-new Christmas spectacular full of song, laughter, and holiday cheer. And because we're "friends of the band" 😉 we've got the inside track on some pretty awesome extras for this very special show. That's right! Rub elbows with Mr. Aiken and friends and bask in the bright lights of Broadway. What a way to spend they holidays, amIright??? You enter the drawing by selecting the performance (or performances) you are interested in, your name goes into the proverbial hat, and if yours is the lucky name selected when we do the official drawing, we'll contact you with purchase instructions.